The key thing to note from the June Mersey Estuary WeBS count was a new spoonbill record: two birds were recorded at Hale. We also set a new record for greylag goose with 54 beating the previous 52. Canada geese were in big numbers again with just under 5,000. I suspect July will be even higher as last July we set a record of just shy of 9,000. June marks the ends of the WeBS year and so the key features of 2015-16 have summarised. 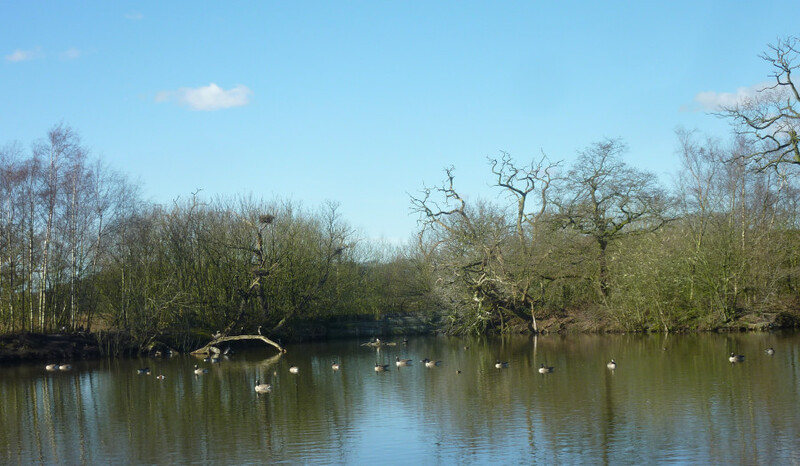 • We set 17 new records for ducks, geese, waders and heron-like birds (WeBS species). New records included Canada goose, brent goose, gadwall, shoveler, tufted duck, goldeneye, little egret, spoonbill, coot, avocet, whimbrel and green sandpiper. However, the most notable was our new dunlin record of 68,254, confirming our position as the best place in the UK for dunlin. • 47 WeBS birds (excluding gulls and raptors) were above average and in total we had 105,000 native wetland birds recorded (so excludes Canada goose). 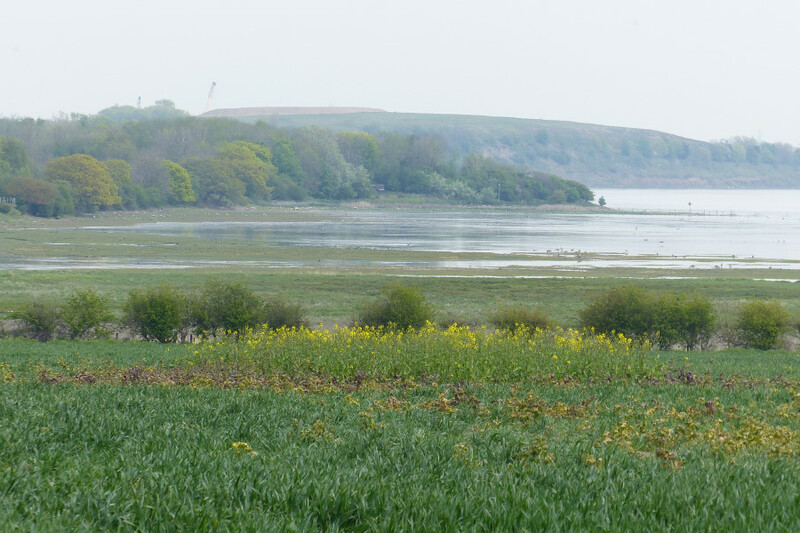 This is the first time we have had more than 100,000 wetland birds since 2002-03. • We had internationally important counts for 5 species: shelduck, ringed plover, dunlin, black-tailed godwit and redshank. We had nationally important counts for 7 species: teal, shoveler, spoonbill, little stint, ruff, curlew and green sandpiper. 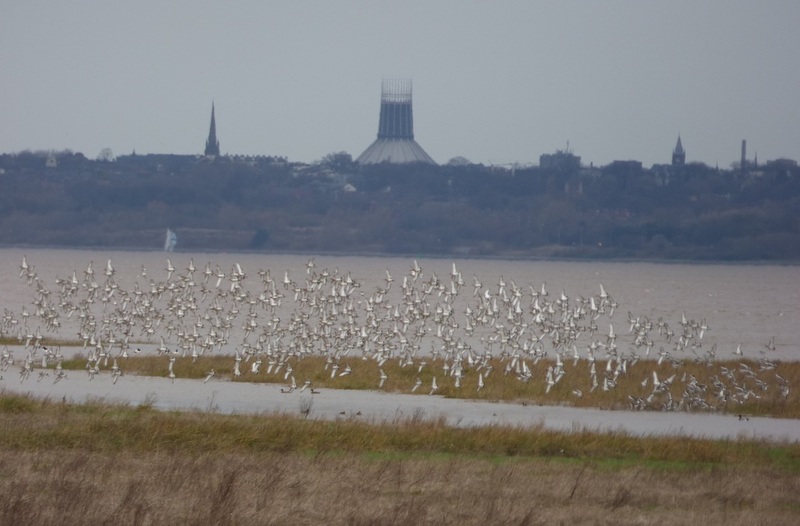 • There are 12 species for which the Mersey is, based on 5 year averages, nationally or internationally important or has been in the past. 11 of these species were higher than average with only teal being lower than average. The lower teal count will mean the estuary is not currently internationally important, but is nationally important. 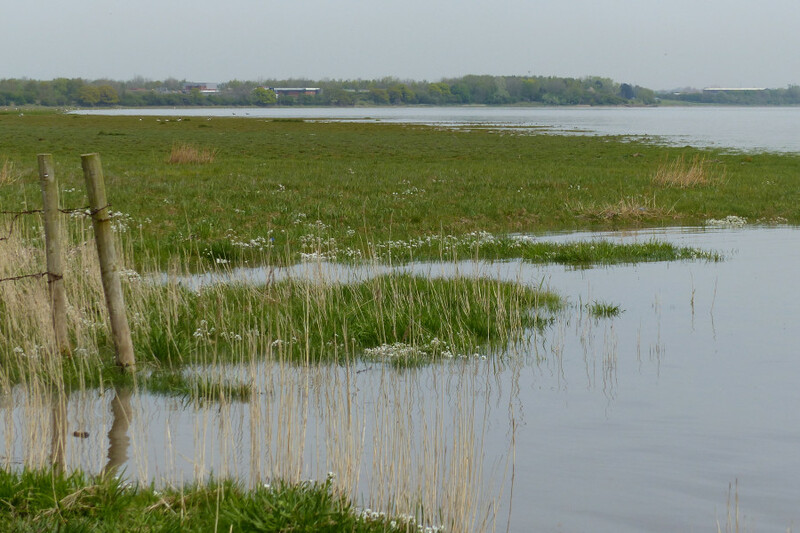 • Based on 5 year averages the Mersey is internationally important for shelduck, ringed plover, dunlin, black-tailed godwit and redshank. 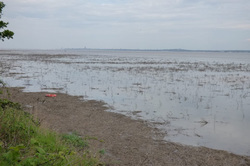 It is nationally important for teal, grey plover, lapwing and curlew. • We also had new species: great northern and red throated divers, shag, great skua, yellow legged gull, Iceland gull and little tern. 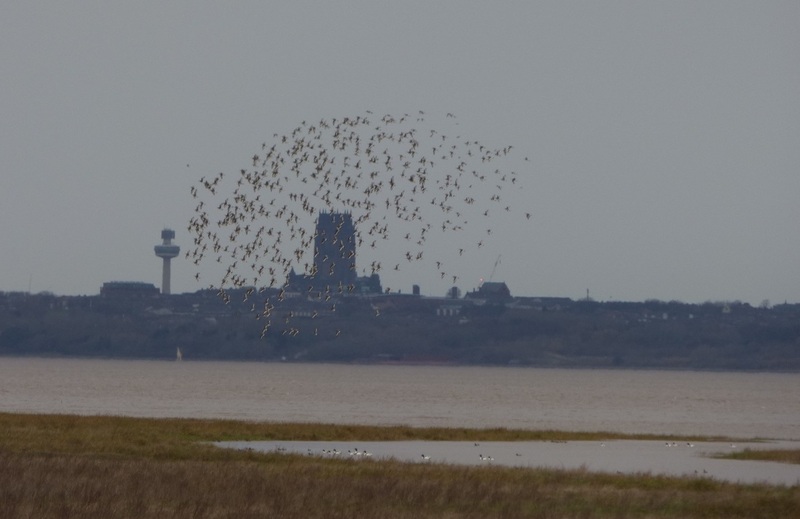 Some of these new records are due to increased observer coverage rather than purely changes in bird numbers, however, some, like the dunlin record show the Mersey is still a very important and thriving estuary of international importance. 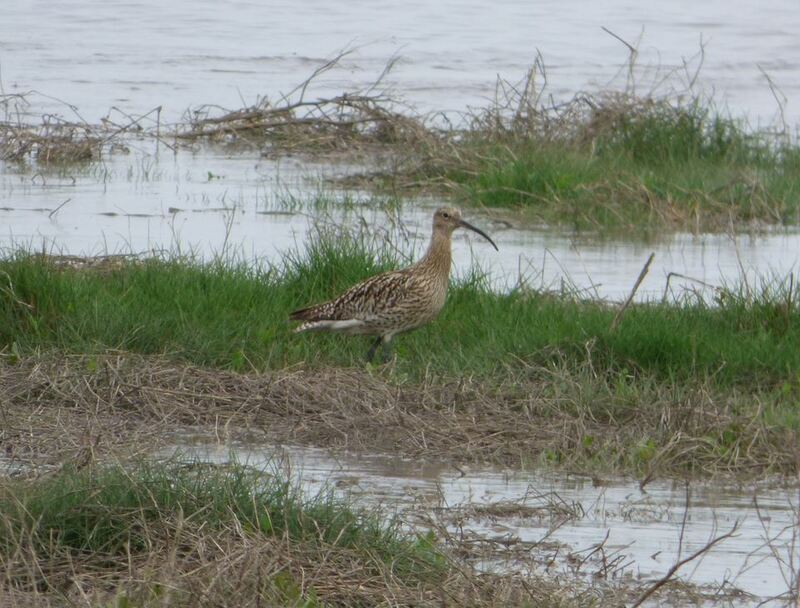 Numbers wise May counts are usually our lowest month, however, there is one species that always peaks in May: whimbrel. 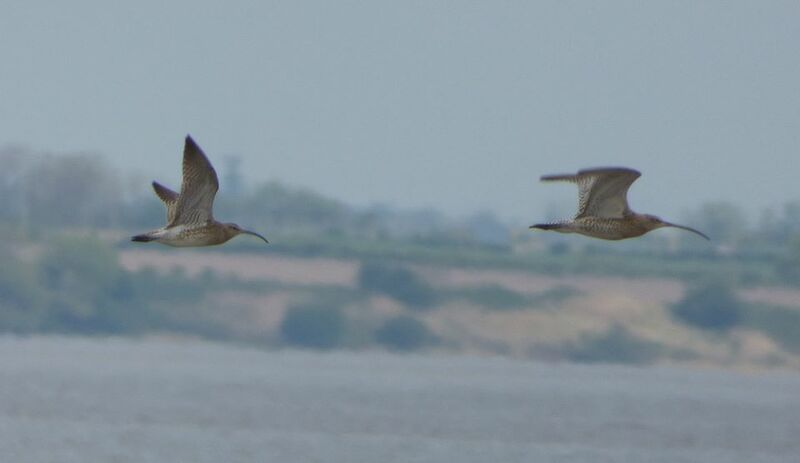 Until 2013 we usually recorded single figure counts of whimbrel, with never more than 15. However, in 2013 we had 30, 2014 - 38, 2015 - 27 and this month we have just recorded 84 birds! In fact the flock of 40 I saw outnumbered curlew 5 to 1. 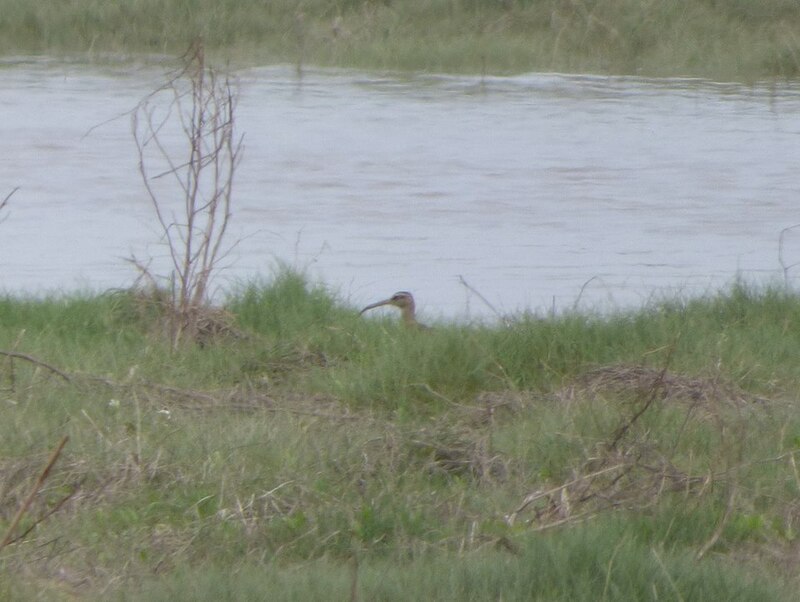 The most spectacular event of the day, possibly the year, concerned a whimbrel too. 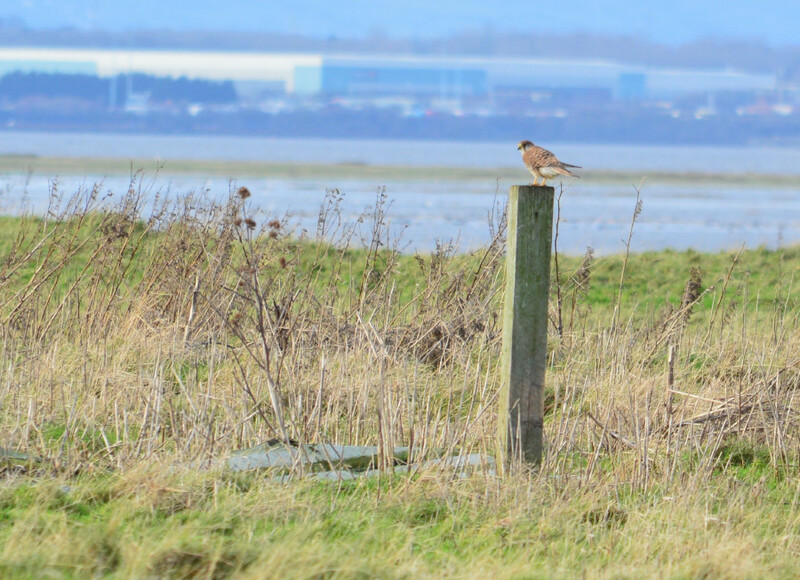 Ian was counting 7 whimbrel when suddenly it was just 6 as a female peregrine came from nowhere took one and it carried off, struggling to make it across the Ship Canal, what a sight! 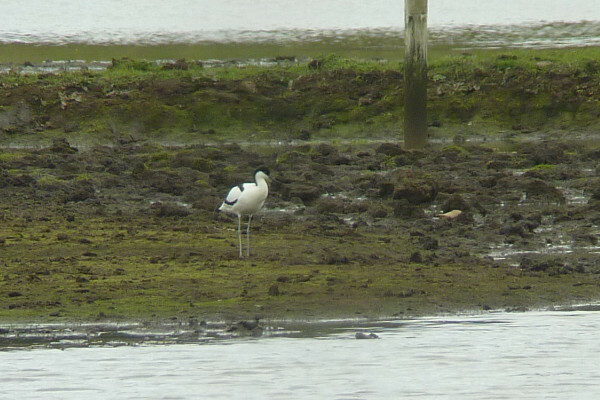 Whimbrel wasn't the only record breaking wader 12 avocet was higher than our previous record of 10 set last month. I know there have actually be rather more than that, but on the WeBS count we just got 12. 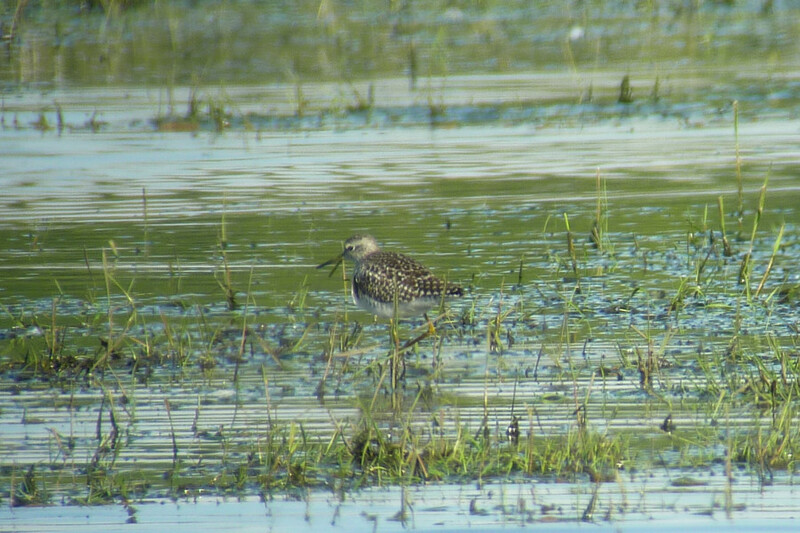 In total we had 18 wader species including a wood sandpiper and curlew sandpiper. 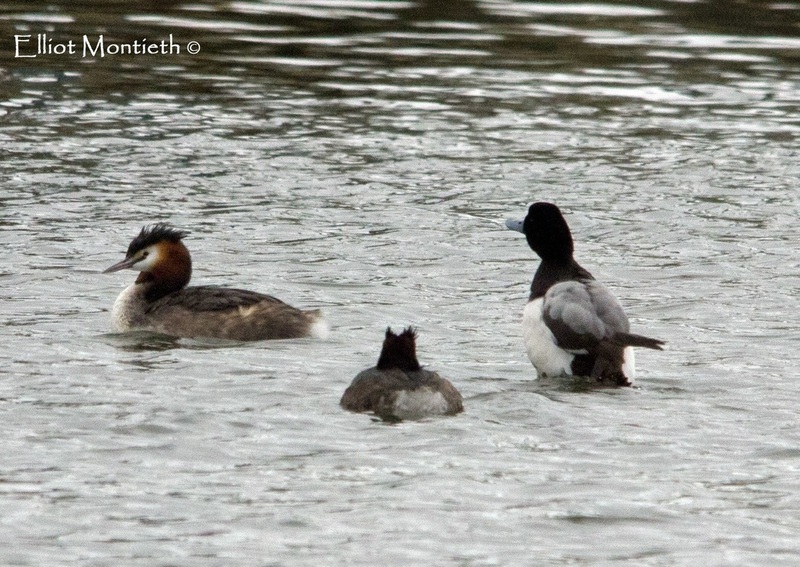 The tufted duck flock continues to be present. 295 was our 3rd highest count ever of this species. 37 mute swan was our highest count of the 15-16 WeBS year. 631 Canada geese was the lowest of the year as we would expect in May, however, next month it could be 10 times that number. Last June we set a new record, probably for the UK of nearly 9,000 of them. 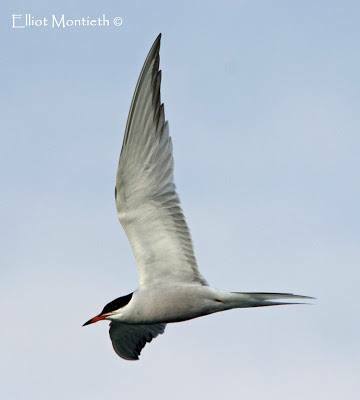 17 common terns at Birkenhead Docks was great news..
Common tern © Elliot Monteith. A potential breeder at Birkenhead Docks. This month’s record breaker was shoveler with a new record of 282 up from last month’s record equaling 180. Both counts are of national importance. They seem to like the sea aster that is doing so well on No 6 bed at Frodsham. The 26 pintail at Frodsham might also be enjoying the food source. 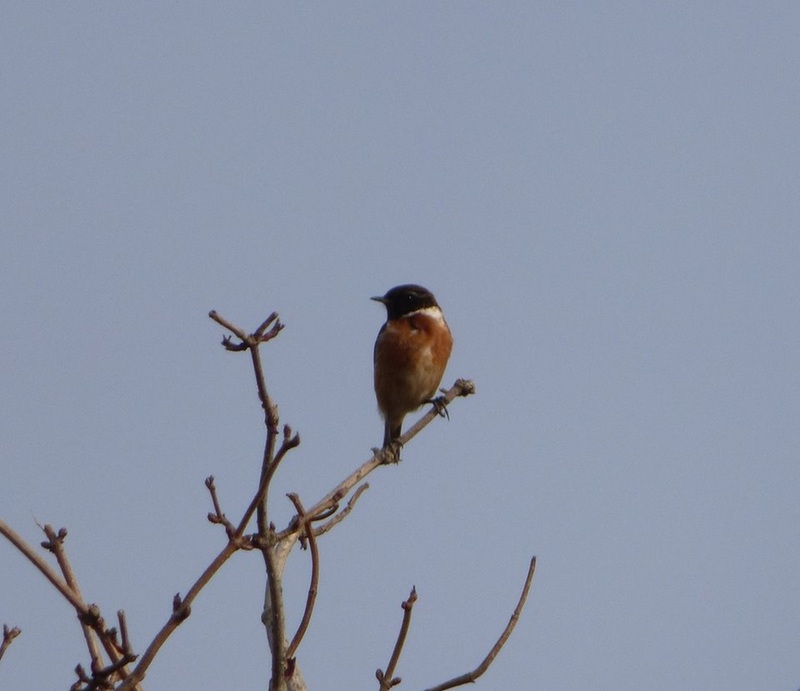 The warm weather and sunshine made it feel like spring and the birds also reflected a changing season with the many wintering birds in much reduced numbers as they move to their breeding grounds. While 1,400 shelducks was the same as last month most ducks had decreased. Wigeon were down from 2,500 to less than 500, teals down from 2,200 to 1,300, mallard 475 to 349, pintail 99 down to 49, pochard 24 down to 8, tufted down from 183 to 129 and goldeneye down from 27 to 12. The first time this season we had less than 1,000 Canada geese. No doubt they will be back in June. Waders were also showing signs that many over wintering birds had departed. 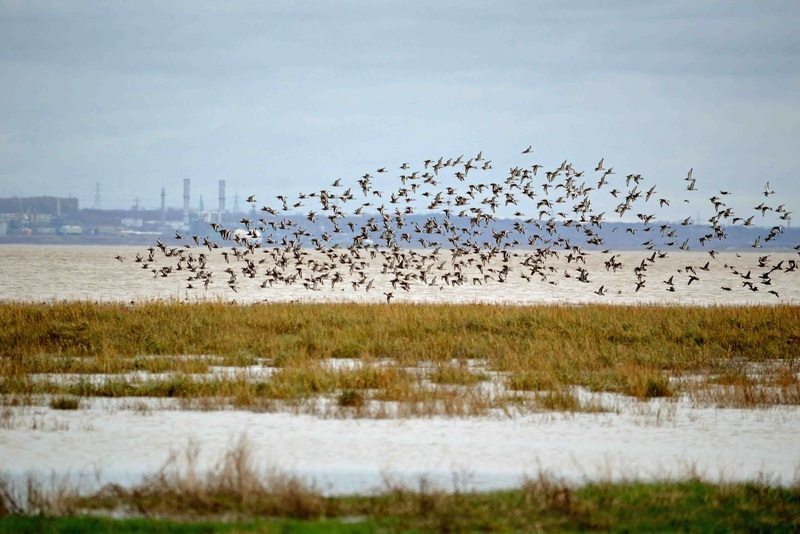 Golden plovers dropped from 1,500 to 400, lapwings down from 5.500 to under 500 and dunlins down from 28,000 to 2,000. However, three wader species were up perhaps representing a spring passage of birds moving north. 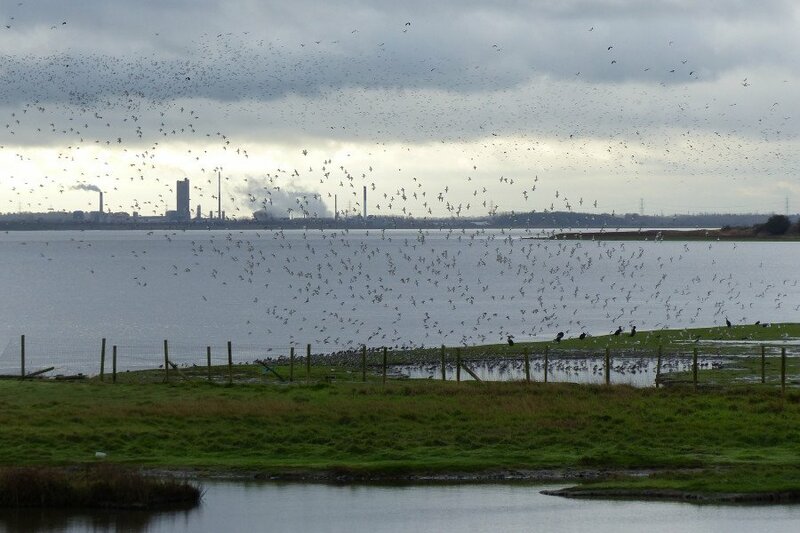 black-tailed godwits increased from 766 to over 1000, curlews up from 900 to over 1000 and redshanks up from 1,500 to over 2,300, with higher than usual numbers at Oglet and Garston on the north shore. The black-tailed godwit count was internationally important while the redshank was just 17 under the international threshold. Other waders like small numbers of common and green sandpipers and 4 spotted redshank - the highest count this century, could also be migrants. 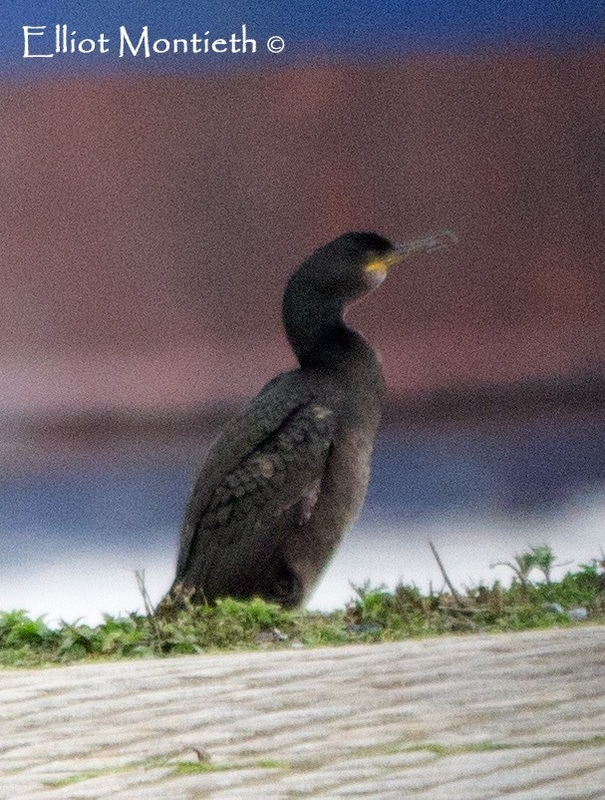 However, the only bird that was almost certainly a spring migrant was a black-necked grebe found on the Weaver Estuary by John and 3 avocets at Frodsham. Birkenhead Docks continued to produce good birds with an Iceland Gull found by Elliot and last month’s male scaup still present. 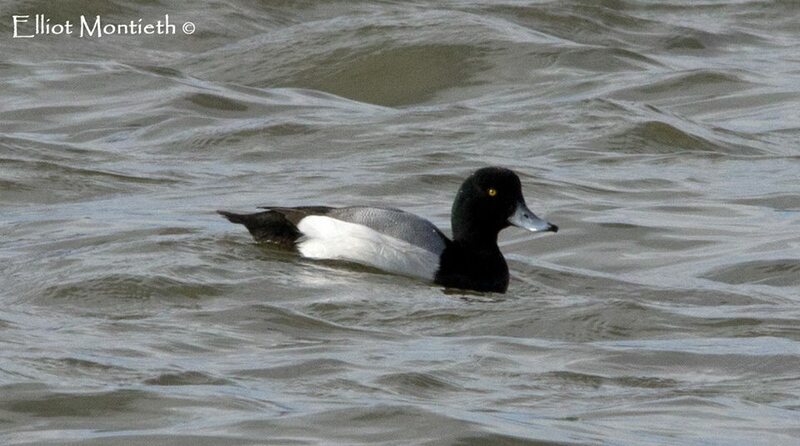 Male scaup at Birkenhead Docks © Elliot Monteith. Next month will see a continued fall in winter bird numbers but should see lots of spring migrants. I expect a few whimbrel to out there plus wheatear and other passerines passing through. Another record breaking duck count in really quite warm weather. The records broken this month were of records set earlier in the winter. 67 gadwalls broke the record of 52 set in November; while 40 little egrets was the third month in a row we have set a new record. My only surprise is that it has taken so long for our little egret numbers to reach this level, given the numbers on the Dee. Swans were still in good numbers with 31 mutes, 16 whoopers and 1 Bewick’s swan. 168 pink-footed geese was a winter high and a light-belied brent goose was a good find. Canada geese were about 1700. Two great white egrets are what we expect these days. The three water rails were all at New Ferry. Amongst the wader highlights were winter highs for 1,550 golden plovers, 353 grey plovers and 5,500 lapwings. 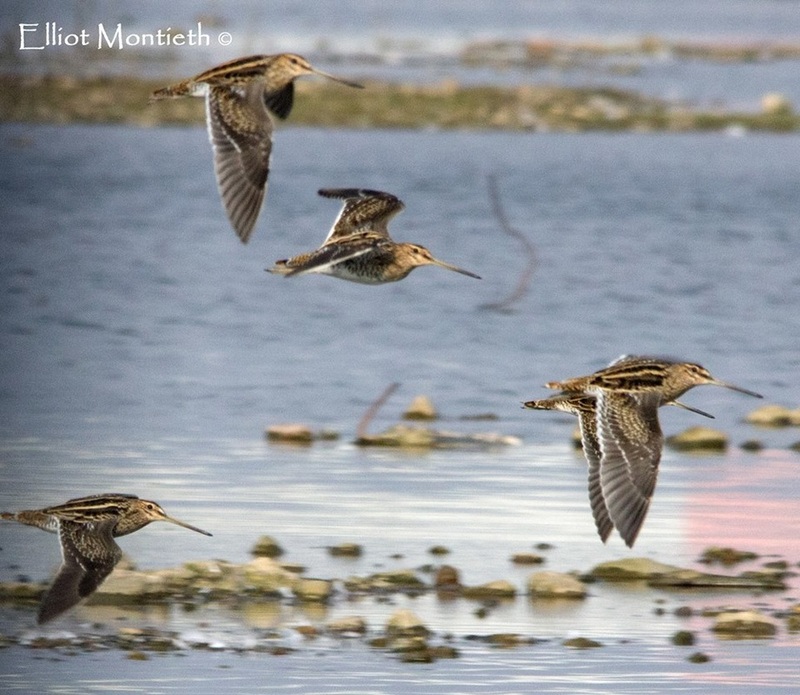 28,000 dunlins were lower than last month. 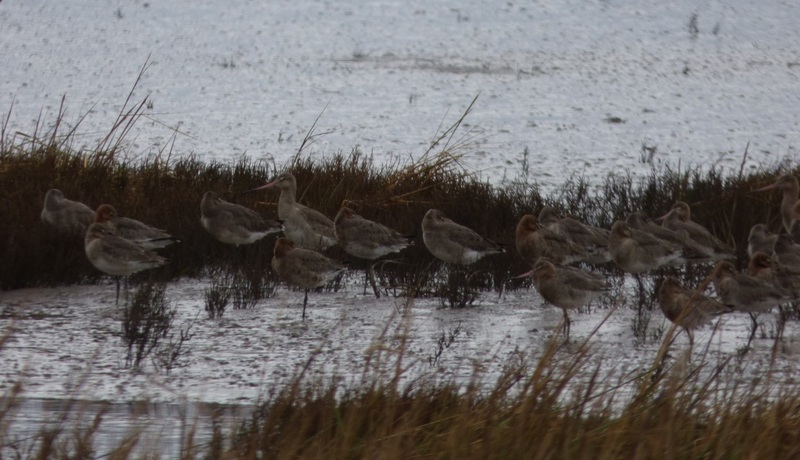 However, 766 black-tailed godwits was a vast improvement on three last month! 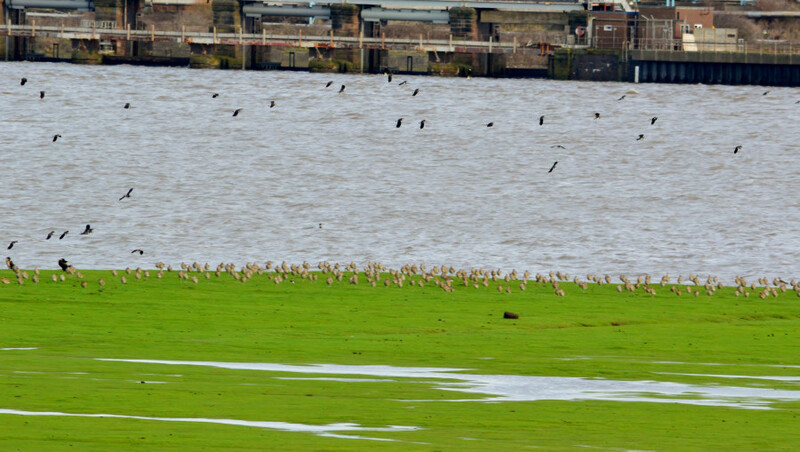 Godwits do show a strong autumn and spring peak but this year they have been almost non-existent during the winter. 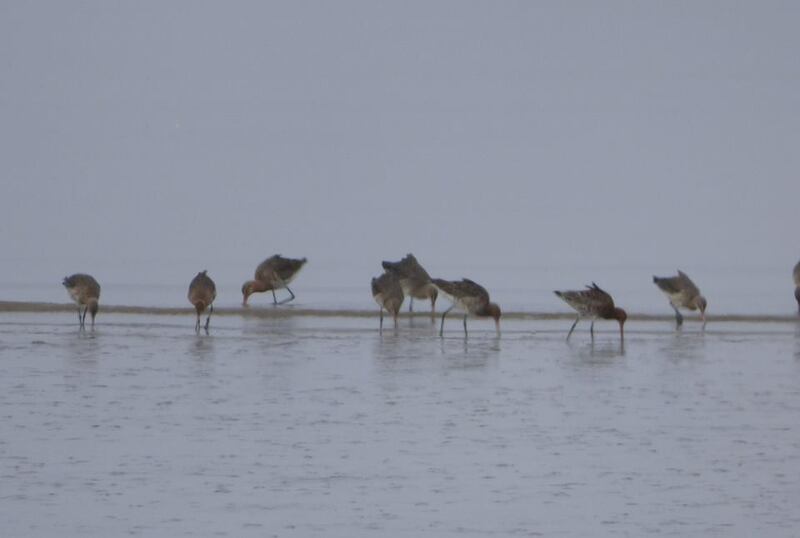 Black-tailed godwits at Manisty Bay. © Shaun Hickey. Of the passerines five twites again were good and the reed buntings have increased from 13 last month to 49 this month. There are still a few rock pipits wintering on Manisty Marsh along with the odd jack snipe. Our new site at Birkenhead Docks continues to bring in some good quality birds with a scaup and a shag. We had another great count with good numbers of birds, three new records and one new species. The new records were 30 goldeneyes, 38 little egrets which beat last month’s new record of 28 and 510 great black-backed gulls beat the 472 set in November. The new species was a yellow-legged gull at Hale. 22 whooper swans was the highest so far this winter. The 1,100 Canada geese were well down on the 4,900 from last month. The wildfowlers were out from dawn targeting Canada geese in an effort to reduce their numbers. They saw about 3,000 then and shot 51. 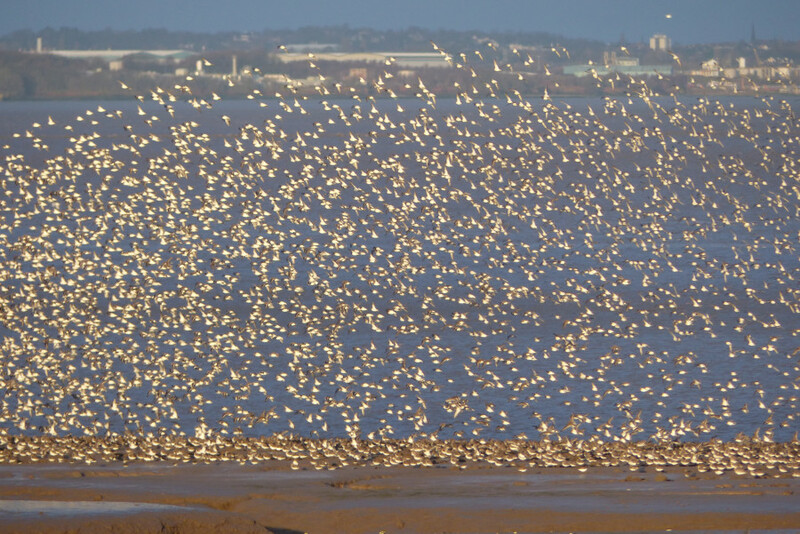 However, they also saw 300 pink-footed geese at dawn, so it might be they are using our estuary for roosting. 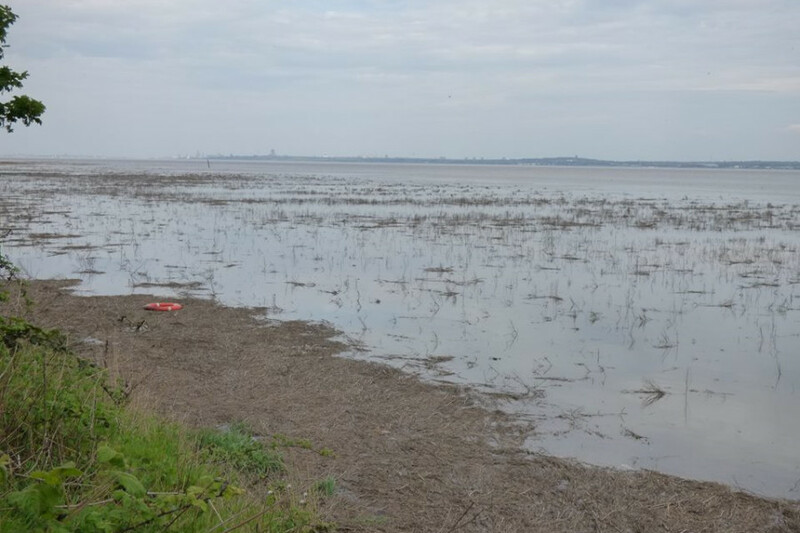 800 shelducks is nationally important, but not remarkable for the Mersey. However, only 1,800 teal is below national importance and down on last month’s 3,000. However, even that this is well down on our average of 5,600. 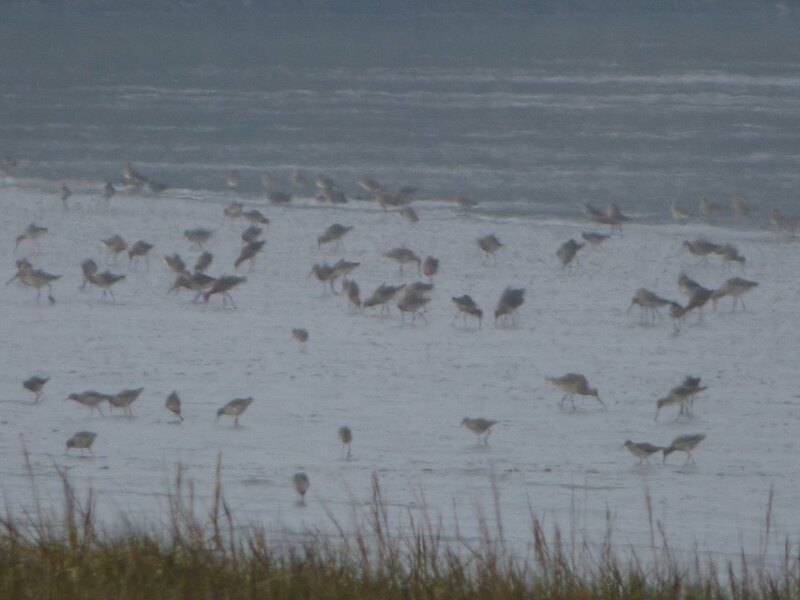 I think we need some cold weather to get them to move from the little inland ponds or fly in from Europe. December 2012 we had over 7,000. 1300 wigeon were a winter high. 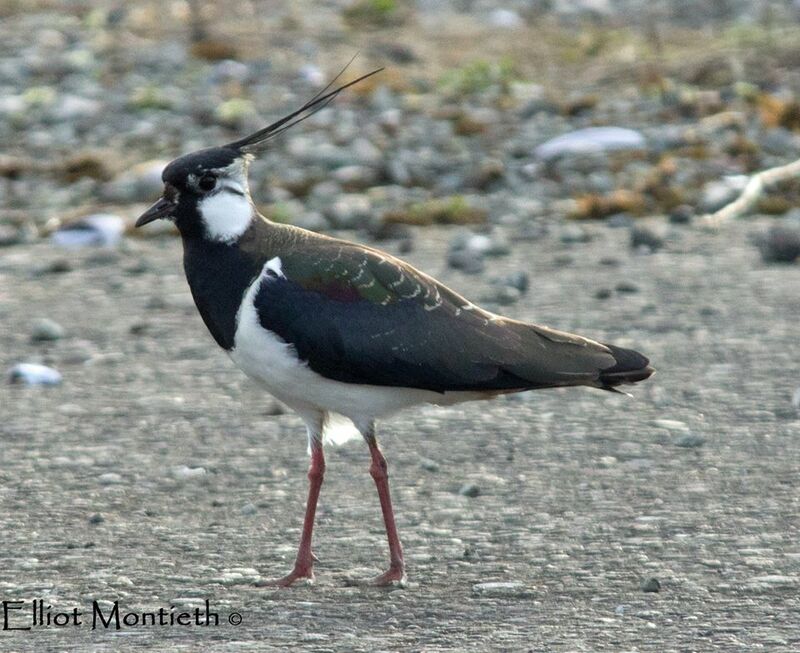 1,500 golden plovers, 309 grey plovers, 4,900 lapwings, 3 jack snipes and 33 snipes were highs for this winter. 31,000 dunlins were less than half our record count of 68,000 last month. There were very few at Hale this month when last month there were 23,000. Unusually there were more bar-tailed godwits than black-tailed with 9 and 3 respectively. I wonder where the 2,500 we had in August are now residing. 3 spotted redshanks was a good count though the 1,600 redshank is nationally important, it is less than our average. 6 raptor species including 2 marsh harriers was what we would expect at this time of year, as were the two great white egrets. We were also joined by a military archaeologist who was interested in our Allan Williams Turret. To us it's a rusting metal sphere but actually it is a WWII machine gun turret and is a pretty rare beast as very few were commissioned and most were salvaged for scrap after the war. This has now been photographed, recorded and entered on an inventory of second world war defences. Finally I would like to pay tribute to Nick Pumphrey who sadly passed away just before Christmas. Nick had been a counter since the early 2000s and was one of the key dunlin counters. He was a real gentleman. He was on the December count and so it was quite a shock to hear that he had died. We will miss him greatly.